At W8H, we’re always looking to provide you with the best and most exciting content in regards to restaurants and food culture. Therefore, we’ve recently expanded our coverage to include the occasional interview with the industry’s top movers and shakers and thought leaders. Recently, we sat down with Tom Jakubowicz, co-founder of mealUp, one of Berlin’s hottest new food startups. W8H: For those who are unfamiliar, can you briefly explain the concept of mealUp? Tom: Sure. mealUp is an online platform where people can spontaneously find and organize meals with others at handpicked restaurants. It‘s a social tool for everyone, who wants to meet people through food, or simply prefers dining in company. A key feature is that all mealUps start with the dining occasion and a restaurant. Our users create so called “mealUps“, which are micro-events at the restaurants they want to eat at and other users (which can be their friends, colleagues, people they don‘t know yet and so on) can request to join them. W8H: There are plenty of things that are no fun to do alone, so why was the focus put on restaurants? Tom: Initially our focus was not just restaurants, but the activity of eating together. Since humanity has discovered fire and thus the fireplace, eating food has become a fundamentally social activity – it just goes beyond the fact that most experiences are more fun when they are shared. We also wanted to create something that has an everyday relevance for all people and can make their lives easier or just a bit more exciting. That‘s why we focused on a something really essential that all of us (have to) do every day. We then decided to become restaurant-centric, because a mealUp is supposed to be something spontaneous, exciting and at the same time safe. 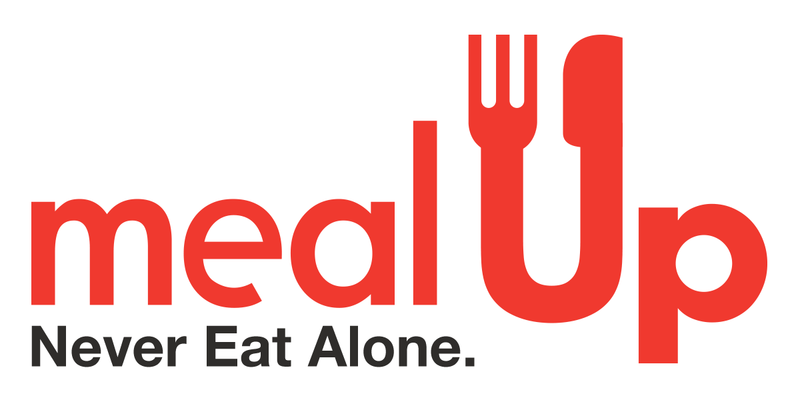 We want people to use mealUp without having to cook for hours, or invite complete strangers into their homes. Moreover, there are more and more people who travel, or move for work and like to explore a new city through its restaurants. We want them to have a great companion in mealUp. W8H: How do you pick the restaurants for the mealUps? Tom: We have set criteria on how we pick the restaurants that make it into mealUp. The most important ones are food quality and a consistent dining experience. We handpick our places, meaning that we either test them ourselves, or rely on recommendations by a panel of food lovers we trust. Still, we also take into account that we need to offer sufficient breadth in our selection, when it comes to cuisines, parts of town and prices. For example, if we know that a certain restaurant is perhaps not that life-changing experience foodies are looking for, but still is a very popular place for lunch breaks for people who work in that area, we will still include it. W8H: Have you received any interesting mealUp stories (finding true love, closing a business deal, reconnecting with a lost fried, etc.)? Tom: Well, the most interesting one is possibly that we, mealUp‘s founders, have met in a typical mealUp manner, while going out for dinner with a group of friends we have in common. It took us until the main course, to figure out that we wanted to make mealUp happen together. Seriously though, we have only kicked-off things in Berlin two weeks ago, so we are still waiting for our first big story that came out of a mealUp. W8H: With the idea of bringing tourists and locals together, where do locals take tourists to eat? Is there a difference between where locals go and where tourists go? What I think is important to mention here is that the advantage for tourists of eating with locals, goes way beyond the good meal at a non-tourist eatery. It is perhaps even more about getting to know a bunch of locals, who then give them recommendations for the bar after dinner, or even drag them along to a great house party. Like with AirBnB, where the advantage is not just staying at a central and charming place for less money, but also having a real local give you individualized recommendations to explore his/her city. W8H: What are some of your personal favorite restaurants in Berlin? Tom: It really depends on the kind of experience and cuisine I‘m looking for on the day, but there are some places that never failed to impress me: Gingi‘s Izakaya in Prenzlauer Berg, for Sashimi and great Japanese “Tapas“. For authentic Chinese Food: Lon Men‘s Noodle House on Kantstrasse, Tian Fu on Uhlandstrasse and Shan Shan on Gleimstrasse. I also find Lokal on Linienstrasse quite amazing and Da Baffi, for Italian food. My best fine dining experience in Berlin has been at Lorenz Adlon Esszimmer – but that‘s only for very special occasions. W8H: What does the future of eating in Berlin and beyond look like? What’s the next big thing? Tom: How, where and what we eat, as general themes are going to play an increasingly important role in urban living. In Germany in particular, what we look for in food will shift from nutrition and quantity for money, to an experience and value for money. Berlin already leads the way, with great new restaurants opening every week, a vibrant scene of supper clubs and regular food events that all enjoy a growing audience of people who care about good and healthy eating in nice company. It‘s thus no surprise to me that food is currently such a hot topic in the startup world. Ideas from bright entrepreneurs are definitely going to change the game. Perhaps mealUp will also play its part. W8H: What’s coming next to mealUp? Are you planning to give recommendations based on group and profile info? Any plans to go mobile (and maybe utilize location-based services like many social apps do)? Tom: Group mealUps are a big topic for us at the moment. Many people consider dining out together in a bigger group more fun. We‘ll also add full restaurant profiles soon, to offer richer and more useful content to our users. This will likely go hand in hand with us moving into more cities. And yes, mobile, we also know that mealUp would be great as a native mobile app, which shows you mealUps near you to spontaneously join …. Once we get an investor on board, this will definitely be a top priority for us and make mealUp an even better experience for our users.